Sit on a folded blanket (or blankets) to support a neutral pelvis and the natural curve of the lower back. Cross your legs so that one shin is folded in front of the other. Spread your toes to activate the muscles of your legs, then use your hands to rotate your thighs inward (this helps to support the natural inward curve of your lower back). Align the back of your skull with the back of your pelvis. Create a slight tone in your lower belly—engage between your two frontal hip bones, and lift up through your lower belly. Ground down through your sitting bones, and lengthen up through your crown. 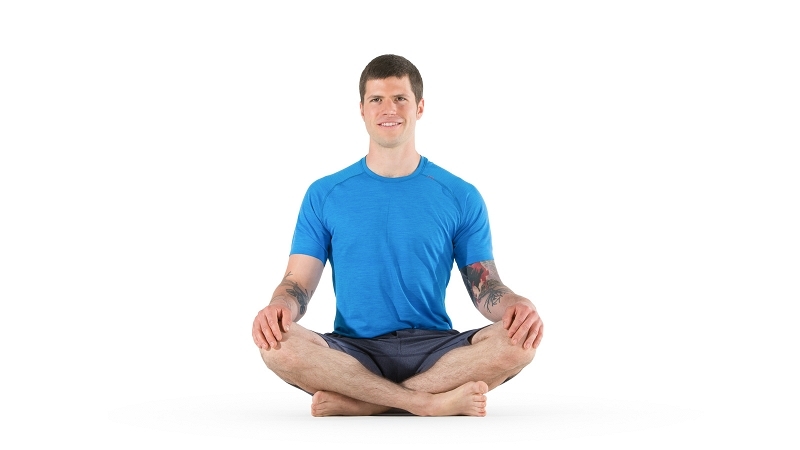 Rest your hands on your thighs with your palms facing down or up. For added support, sit with your back against a wall.